As the clattering sound of falling water grew louder, our legs started feeling less tired, the spring in our scrambling steps returned and our heart beats turned into drums of anticipation – but not the eerie palpitations the wounded buffalo had given us on the previous day. 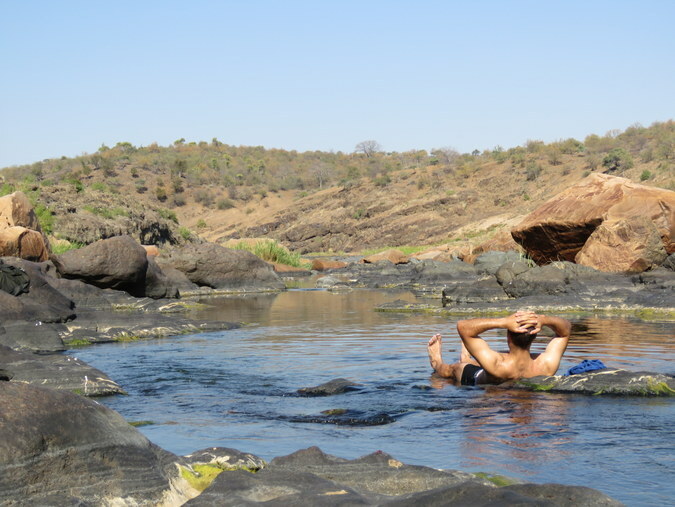 Ever since we had left last night’s camping spot, where we had enjoyed the cool Letaba water and peered back at some curious hyenas, the course of the river had become rockier and by now, it wasn’t a big stretch to speak of rapids. But that didn’t explain the noise ahead. Could it possibly be that, unbeknown to me, the Letaba River has a WATERFALL? Louis is a bit of a phenomenon. By day he is an amicable, soft-spoken pastor from Pretoria North. 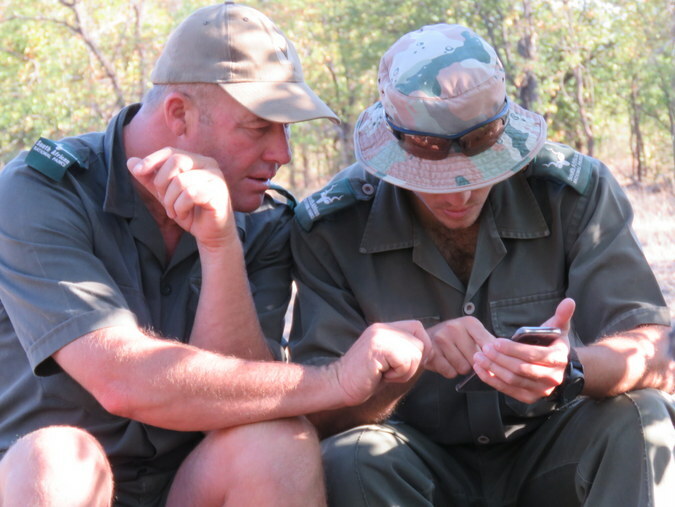 At night, he becomes a spirited Honorary Ranger and peers over maps of Kruger plotting out new ways to create access to the wilderness – and how to monetise those activities for the benefit of conservation. 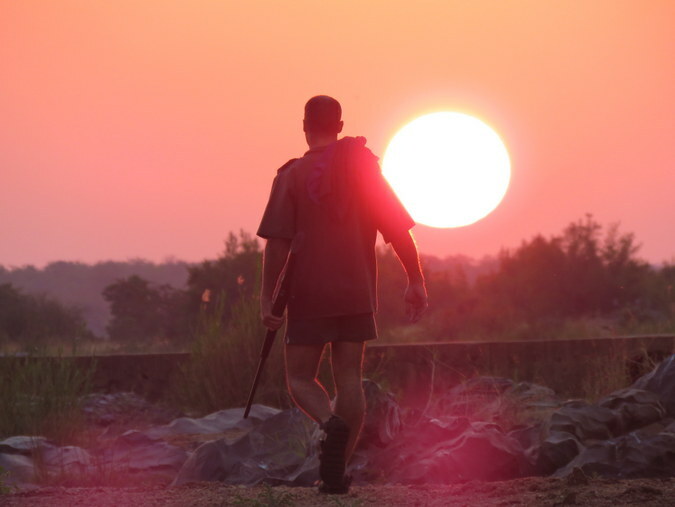 The Kruger Trail is his brainchild and not long after the first ever two stages of the six-stage journey had been finalised, he set off to recce stage number three in June 2018. 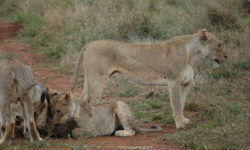 I was invited to tag along on behalf of Africa Geographic. If I could keep up. 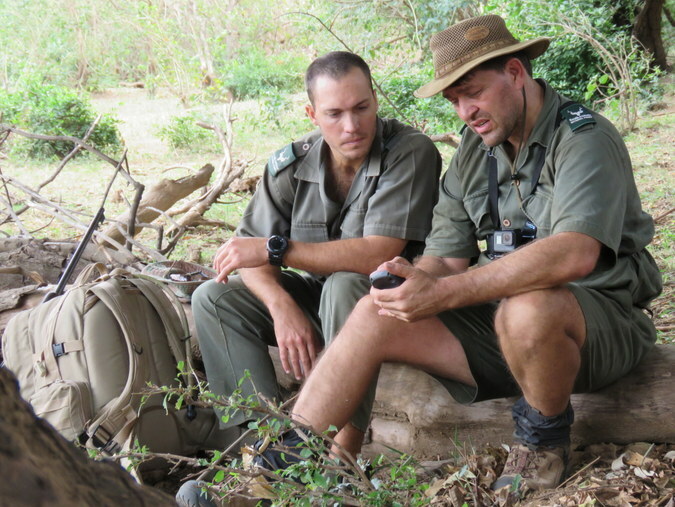 Experienced walking guides Mark Montgomery and Shaun Lotter hummed in agreement. 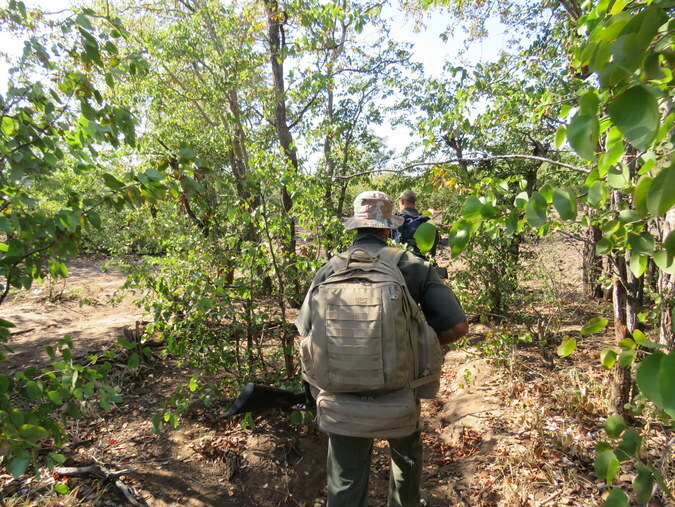 We were standing in an exquisite forest of tamboti trees, on the first day of our expedition, with our breathtakingly beautiful elephant encounter, hair-raising buffalo standoff and refreshing river baths still days ahead of us – not to mention the intriguing roar of the Letaba we were going to explore on day five. After a night at the Letaba Camp campsite, we had driven to Mopani Camp to start the journey, as Louis likes to call it. 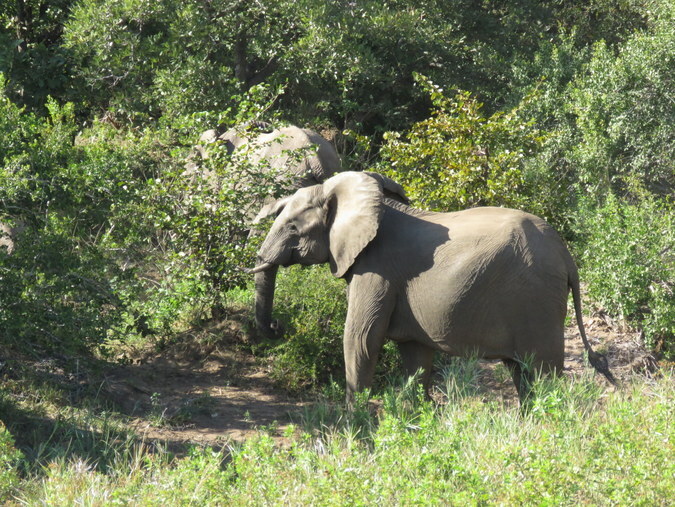 We hadn’t been out of the starting blocks for half an hour, when we came eye to eye with a dopey elephant, who mercifully decided to thunder away through the mopane thicket in the opposite direction to us. In doing so it flushed a southern white-faced scops owl, which I quietly added to the bird list I was going to keep (final tally: 117 species). 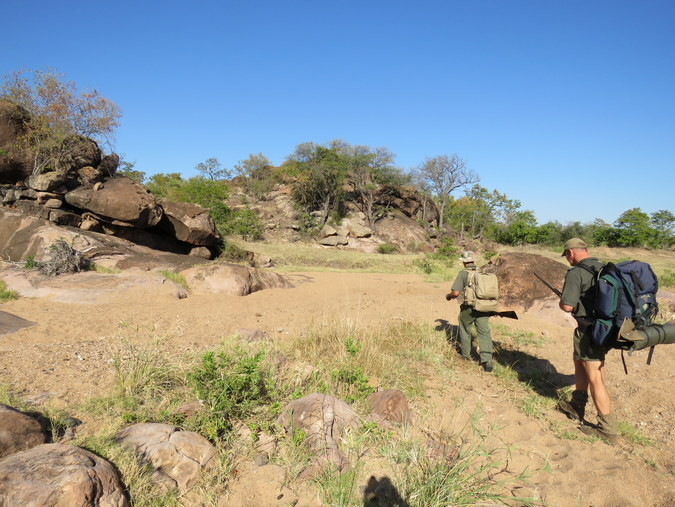 With the tamboti forest a clear highlight, we also bumped into two buffalo herds, waterbuck, impala, many giraffe and duiker, zebra, shrub hare and Sharpe’s grysbok on that first day. We pitched our tents in the Tsendze riverbed, dug for water close to a dwindling pool and as the sun clocked out for the day, we prepared some variation of couscous, pasta and other easily transportable foodstuffs. 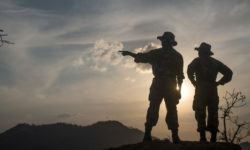 It was a ritual that would be more or less the same every evening, providing some routine in our otherwise diverse days, jam-packed with new experiences. 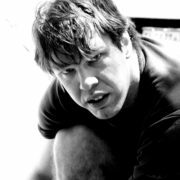 Most people’s pre-trail anxiety understandably revolves around blisters. 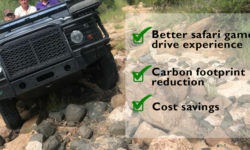 A combination of regular breaks (especially on hot days), inner socks, proper hiking socks and tightly tied shoelaces give your feet the best chance – and I managed to avoid blisters altogether. 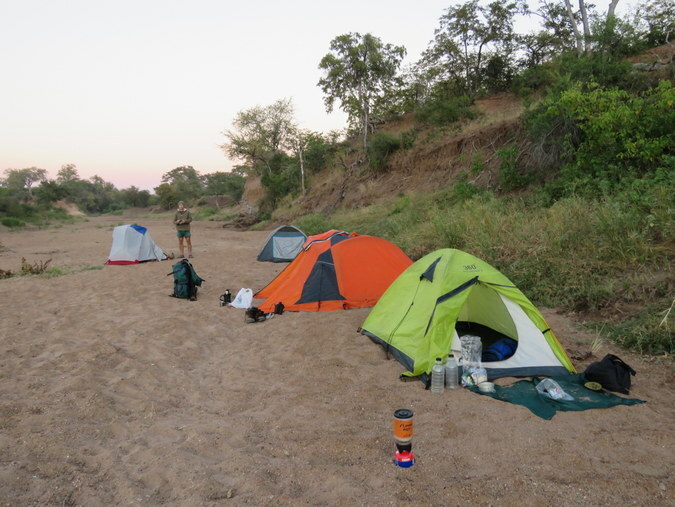 On day two, we walked more than 20 kilometres again, all the way to our camping spot in the Letaba riverbed, at the confluence with the Tsendze. The highlight came at midday. 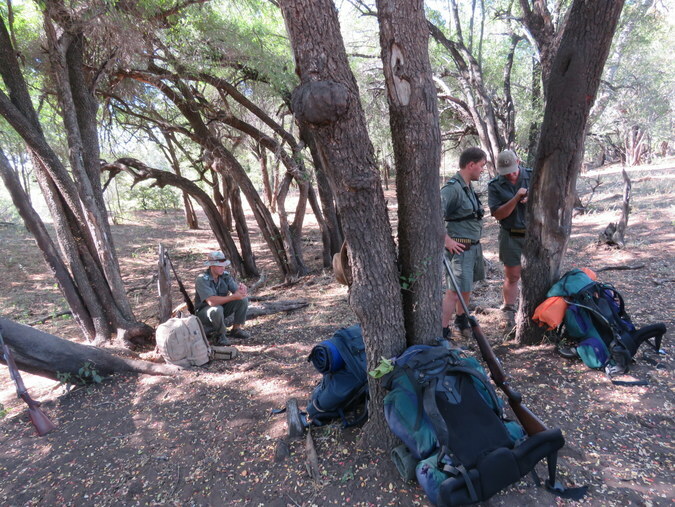 After a morning of marching and exploring fascinating sandstone koppies, we were we snoozing in the shade of some trees on one of the hottest winter days of the year. 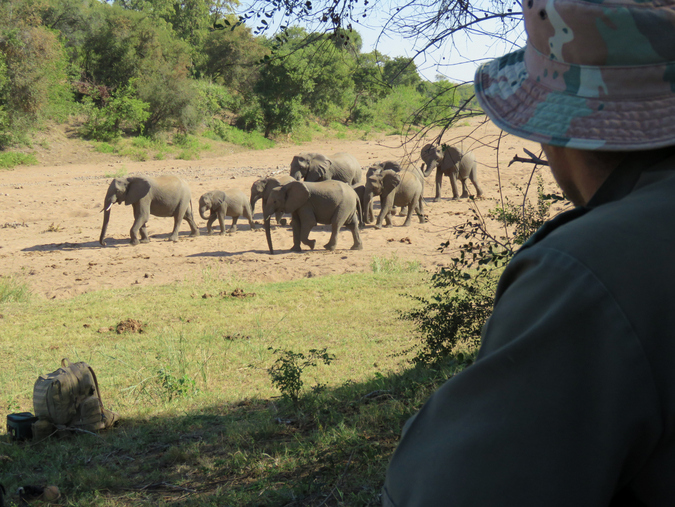 A breeding herd of elephants emerged and continued strolling towards our hideout until they were right in front of us, a mere 30 metres away. 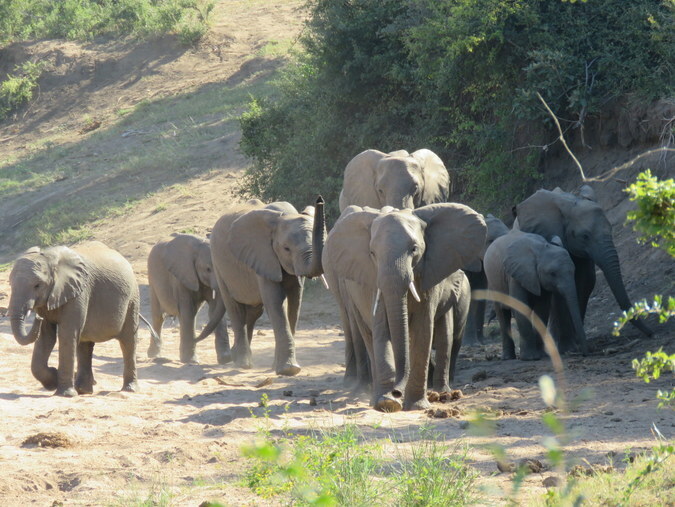 They spent half an hour digging for water, drinking, spraying, washing and socialising while we silently watched. 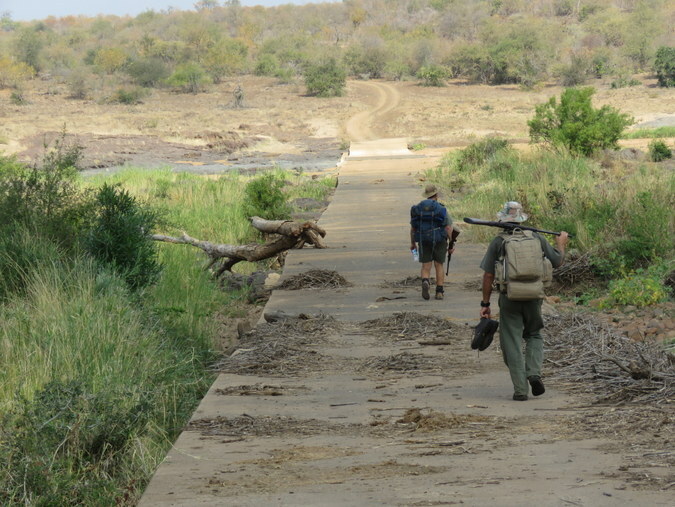 Less than a handful of Kruger staff members have ever walked from Crooks Corner in the north all the way to the Crocodile River in the south. However, for thousands of years, people travelled on old elephant footpaths in search of gold and ivory. 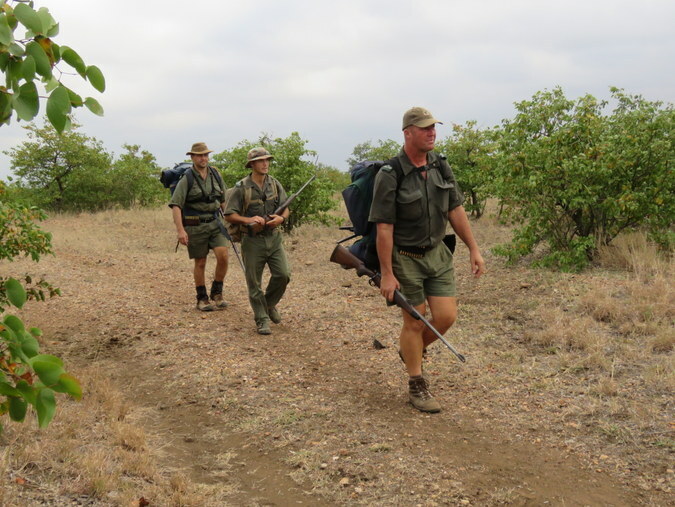 Every year, the Honorary Rangers will put the first, most northern leg of the Kruger Trail out on auction and the winning bids will be able to start the next year, completing two legs a year and taking three years to complete the entire journey. Louis expects the number of starts to go up to maximum four or six a year. 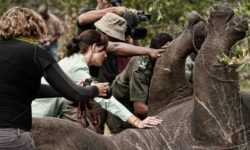 Apart from the auctioned leg one, the other legs have a group price of just over R50,000, which makes it comparable in price per person to Kruger’s regular wilderness trail activities, with a maximum of eight participants and two guides per trail. With the information gathered on our recce, Louis has since rerouted some of the stages, because we were pretty buggered after 24 kilometres of keeping-on-keeping-on. Luckily day four was much shorter as it ended near a low water bridge that some people will know, as it is the river crossing for the Lebombo 4×4 Trail. Walking past a dramatic cliff, the flora and fauna changed immediately, with euphorbias, mocking cliff-chats and klipspringers appearing. It was also by far the scariest day, with a colossus of a buffalo bull in our way, bleeding from its leg and in no mood to let us past. After a near-charge, cocked rifles and smart retreat, we managed to scrambled up the rock-strewn hill to the left of us (the river was on the right) and circle around the grumpy beast. And what a new place we explored on day five! Because there it was, the Letaba waterfall that so few people know about. Reminiscent of Bourke’s Luck Potholes on top of the escarpment, the river water clatters down into a deep pool after a series of small rapids. Throughout the ages, the water has carved out a stunning, sculpted artwork – and among the millions of tourists that visit Kruger every year, we were amongst a privileged number that have seen it. 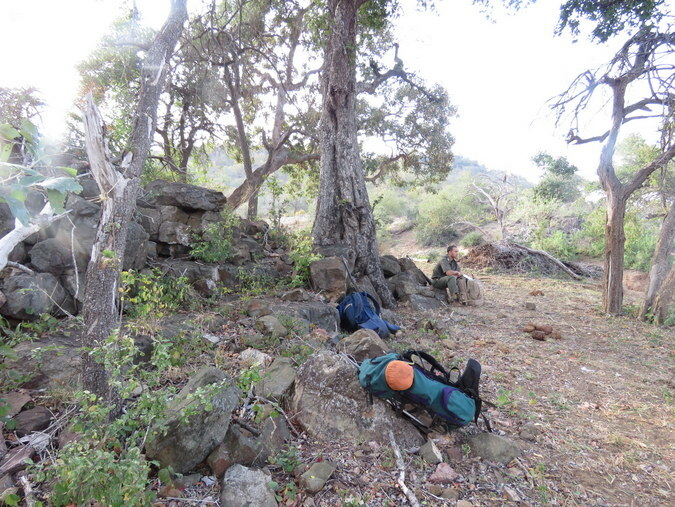 We then climbed up to the contour line and headed for the Lebombo mountains, eventually descending to a camping spot just before the confluence of the Letaba and Olifants rivers. 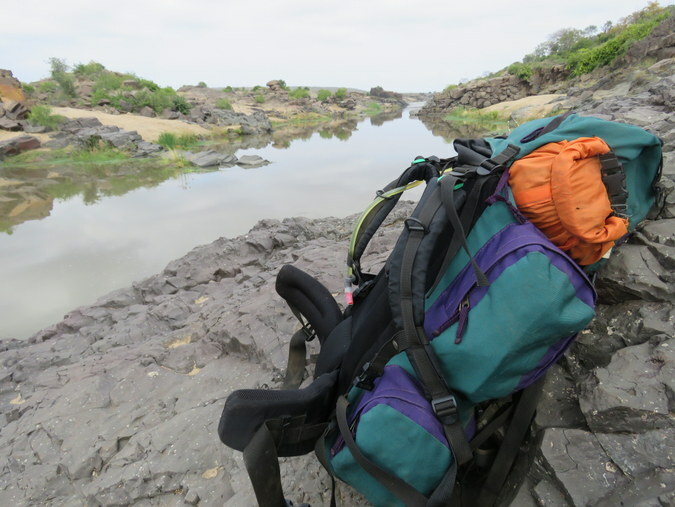 There we bathed among colourful dragonflies and damselflies, explored the confluence area itself and prepared for what was going to be the last night of our million-star-rated experience, before a beautiful-but-strenuous morning walk back up to Olifants Camp. “I love nature and it is very rewarding to contribute and open the park up to other people in another way,” said Louis, adding that he is full of gratitude for the collaboration he has received from the park’s rangers, managers and scientists. 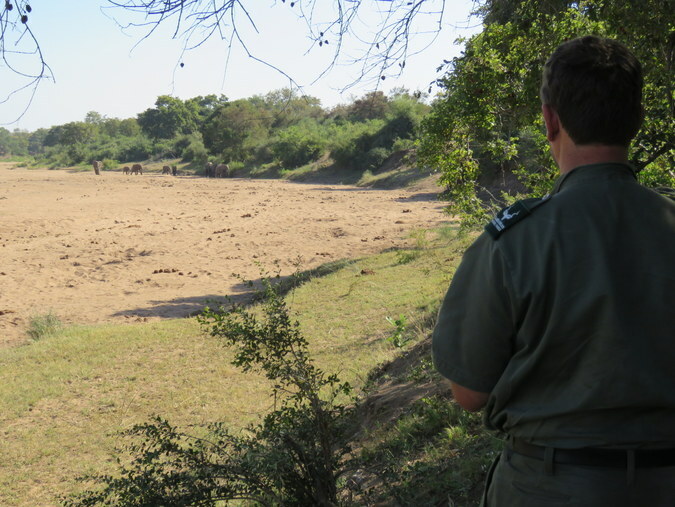 He then talked about the useful financial assistance the Honorary Rangers provide, for example to purchase anti-poaching equipment for the park, and spoke – warmly and without boasting – about the enormous amount of time Honorary Rangers like himself spend working on the background. Then Louis looked around again. The rocks were glowing orange, as sunset approached. A white-crowned lapwing called as the clean Letaba water headed from the park, through our toes, to the Olifants River and beyond to Mozambique and the Indian Ocean. Starting at Crooks Corner on the Limpopo River in the north of the park, travellers complete their journey on the Crocodile River in the south. The trail is divided into six legs. 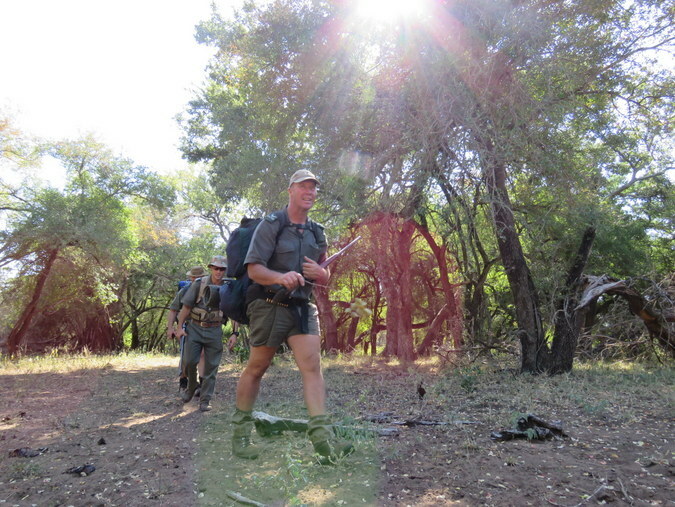 Each leg is approximately 100 km in length and is walked in six days. Two legs are completed per year and the trail is completed in three years. You can expect to walk between 15 and 20 kilometres per day. 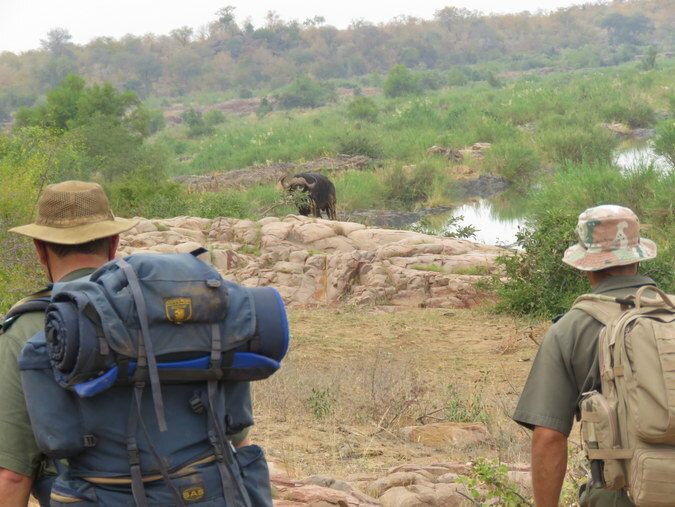 The emphasis of the trail is however not merely on walking the distance, but rather on experiencing a personal and unique wilderness journey and exploring the rich natural and cultural diversity of Kruger National Park. 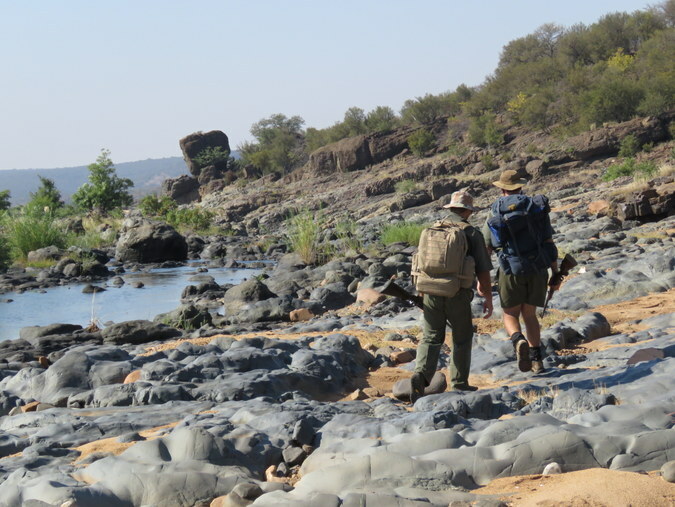 Two experienced and knowledgeable guides will look after you through the six-night, seven-day bushwhacking adventure, providing trail lists with a deeper knowledge and insight into the wilderness experience. For the opportunity to participate in The Kruger Trail you and a group of friends need to buy Leg 1 via an annual auction. You have to complete Leg 1 to continue on to Leg 2. The Trail is sold to groups of eight. No individual bookings. There is a set fee for each leg starting from leg 2 to 6. The auction for groups starting in 2019 is scheduled for 19 October 2018. The event will be held in Pretoria, but telephonic bidding is allowed. 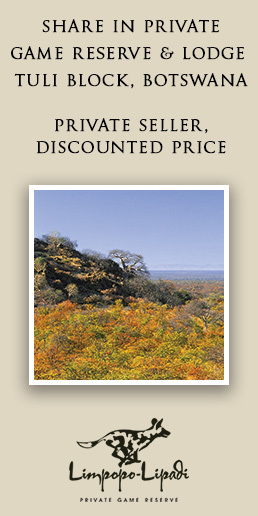 Send us an e-mail (thekrugertrail@gmail.com) to receive more information and to register for the auction. There is an auction deposit payable, which will serve as the deposit for the successful bidders and will be refunded if you are not successful. 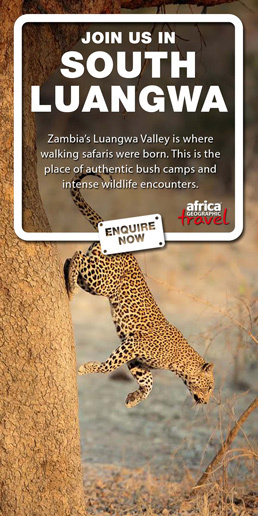 Visit the Kruger Trails website for more detailed information about the legs and the auction.